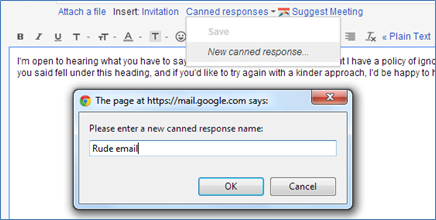 I use Phrase Express for all of my canned response needs (see this post, for example), but for those of you who just want canned responses in Gmail, check out this Google Labs option. In Gmail, go to settings by clicking on the cog icon on the far right, and select “Settings”. Scroll down to “Canned Responses” and check “Enable”. 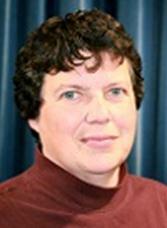 Compose a new email. Type up whatever you’d like to save as a response. Now when you compose a new message and want to use that canned response, click on “Canned responses” to see the menu. The headings (Insert, Save, and Delete) are light, too light, in my opinion; I thought they were disabled options. Under the “insert” heading, click “Rude email” and watch the magic as your canned response appears. 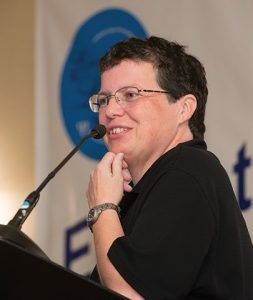 Want to change your canned response? 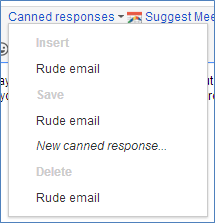 Edit it, then click “Canned responses”, and under the “Save” heading, click “Rude email”. Repeat the process to add more canned responses. Brilliant, Sue. I should have guessed that you would have already figured this out! Thanks.